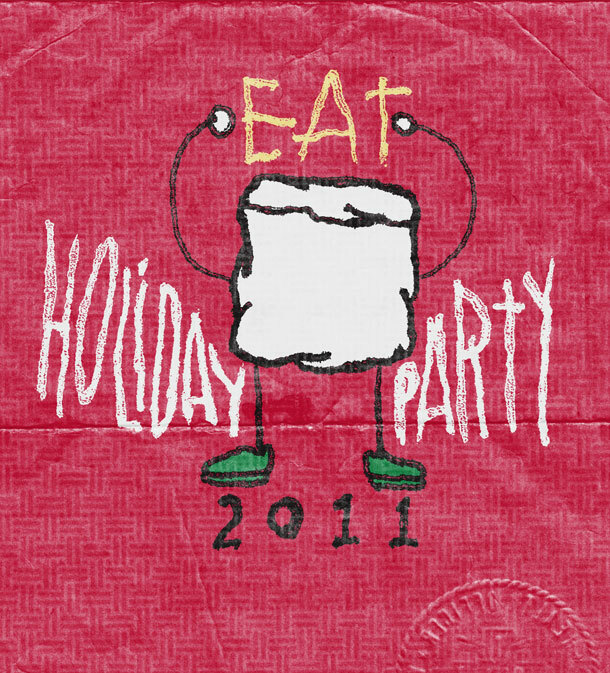 EAT - Eat's First Holiday Party! On December 19th from 5:30 to 7:30, we'll be celebrating at Russell House Tavern in Harvard Square with our friends St Germain and Four Roses Bourbon. Your ticket gets you into the holiday party where you'll enjoy bites from Chef Michael Scelfo and 2 specialty cocktails from our friends above. What we're especially excited about this party, and where you all come in, is we're using it as an excuse to raise money and gifts for The Home for Little Wanderers. Each year, The Home does a gigantic toy drive where they fill a gymnasium with toys. They always need more of everything, but one need that's especially acute is gifts for teenagers. There's a ticket price for this event, but in order to get in, you ALSO have to bring a gift ($10 value) for a teenager we can donate to The Home. The gift can be anything you think a teenager will like, but the easier option might be a gift card. You can grab them at most grocery and drug stores, or you can just bring something you got last year, but didn't end up using. In any case, this party's main goal is to collect as many gifts for teenagers as possible. All your gifts and most of the ticket sales will be going to this goal.